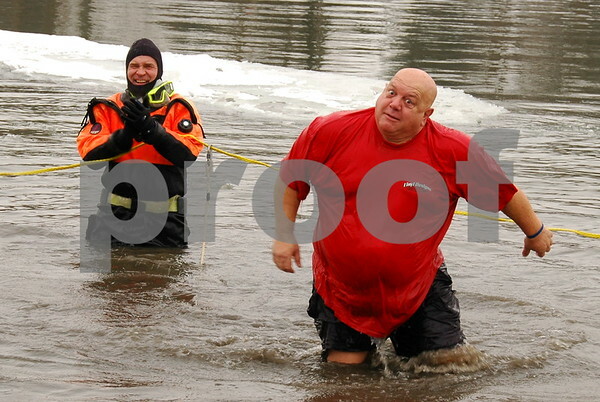 The B’ville Big Chill was held for the first time on Saturday, January 26, at Baldwinsville’s Mercer Park featuring a Polar Bear Plunge into the icy Seneca River. All participants fully submerged and quickly ran back into the heated tent to change back into dry clothes and winter outer wear. The water was enough to bulge one’s eyes out as witnessed by this poor fellow. You can see the other events below. Chili Cook Off – many local resturants took part to see who would impress the panel of judges which included Wayne Mahar, the chief meteorologist for our local NBC affiliate, WSTM (Ch. 3). Ironwood Golf Course Restaurant won the distinction of having the most original chili. The people’s choice award went to the Silver Fox Senior Social Club. This entry was posted in People, Weekly View and tagged baldwinsville, festival, Photography. Bookmark the permalink. The B’ville Big Chill, does that mean ya have to be “big”? Did they have a “whale” of a time? HAHAHA I remember taking a quick dip into a pond in Feburary once. The water wasn’t all that bad temp wise, considering the air temp was around zero degrees. I’ve looked through every picture and post. Can’t find the Tokina 11-16 pictures… But in trying to find them I’ve looked at every one of your great pictures……and you have a wonderful variety. I could never tire of your pictures..all a treat and thanks!